All registered Wilderness Guests will receive FREE admission with their stay! Shows are every night at 4:30 and 8:00 pm, rain or shine. Enjoy an evening of live entertainment with our compliments ($22 value for each guest)! 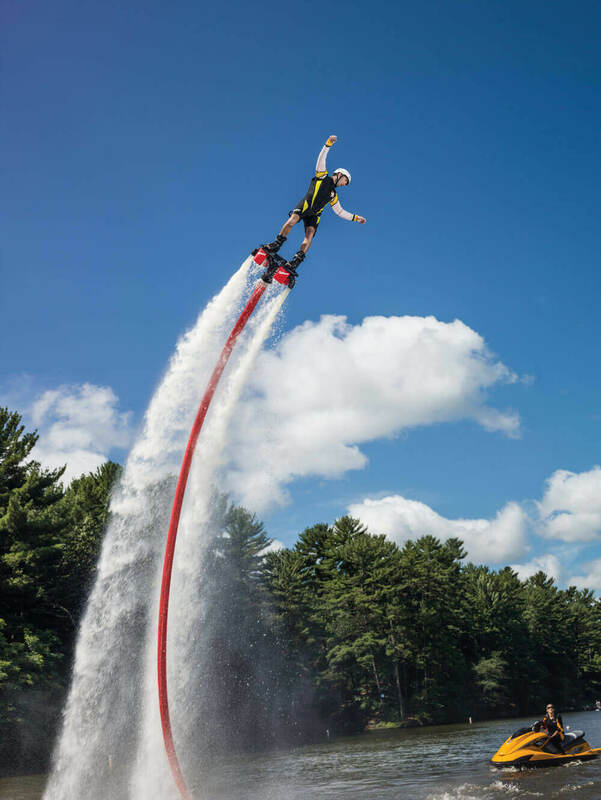 Each 90-minute live show is packed with awesome tricks on water, on stage and high in the sky. 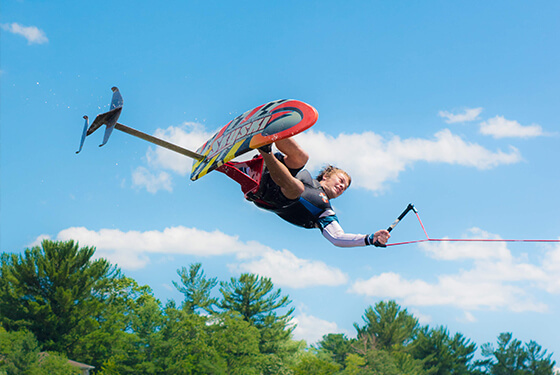 The show features a mix of extreme water-skiing, masterful boat maneuvers, lighthearted comedy and dare-devil stunt artists, all packed into one show. Thank you for your loyalty and continuing to choose the Wilderness for your family vacations. *Valid only for registered Wilderness Resort guests, wearing a Wilderness wristband. Coupon valid for entire party. Coupon must be presented at time of purchase. Non-refundable, non-transferable, void if sold. Not redeemable for cash.